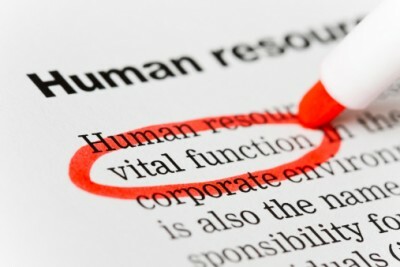 IS HUMAN resources (HR) just another marketing department? If I were to pose this rather odd question to the HR professionals I have worked with over the last decade, the typical response would be one of puzzlement followed by disbelief. Provide monthly metrics on the workforce to the board. My view is that HR needs to be repositioned as a standalone, strategic marketing function with a refreshed set of people, skills and an adapted language. Yes, current HR professionals can — and should — be part of this by building on their core skill portfolio through relevant marketing qualifications and rotations into marketing. This will not only change the way HR works but also how it partners with marketing to achieve its objectives. Additionally, more marketing professionals need to work closer with their HR colleagues, coaching, training and providing expertise for the HR teams. Or, marketeers could go even further and cross the “divide” into HR, taking an alternative career route at the heart of the business. Over the past three years, a small, but not insignificant, volume of ex-advertising agency and ex-corporate/consumer marketeers have, in fact, moved into HR teams at various levels. Part of this movement is related to the ever-increasing focus from HR on strategic marketing-related initiatives like employer branding, but it is also linked to bringing a different, consumer-centric mindset into HR and the ability to build relationships with marketing teams. As a self-confessed HR marketeer, I can attest to the opportunity that working with HR presents, especially in the Asia-Pacific, where the demand for new thinking and ideas is immense. Further cross-fertilising the two disciplines can only bring further success. Article by Martin Cerullo, global director of Resourcing Communications and managing director for development (APAC) at Alexander Mann Solutions.